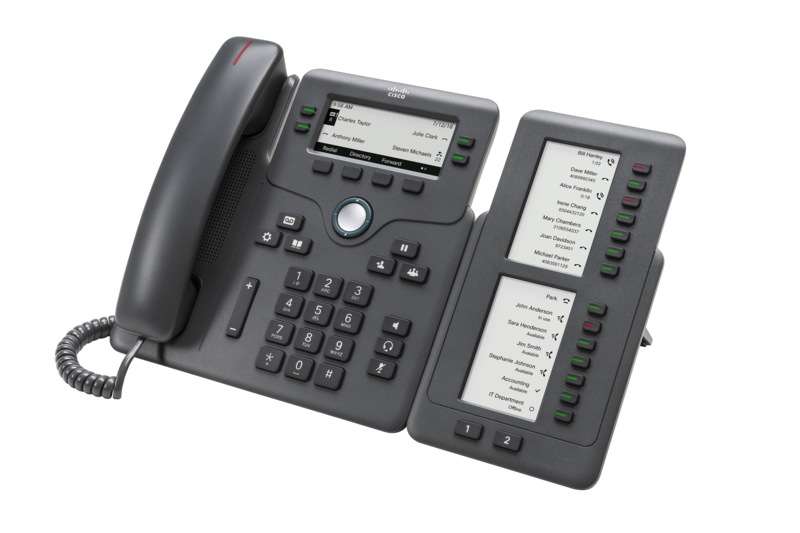 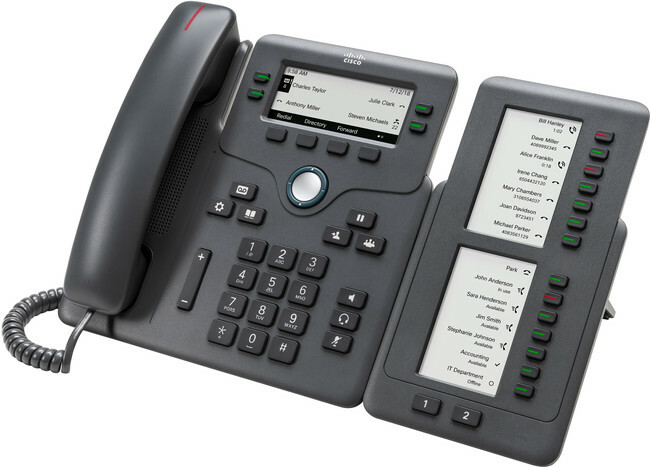 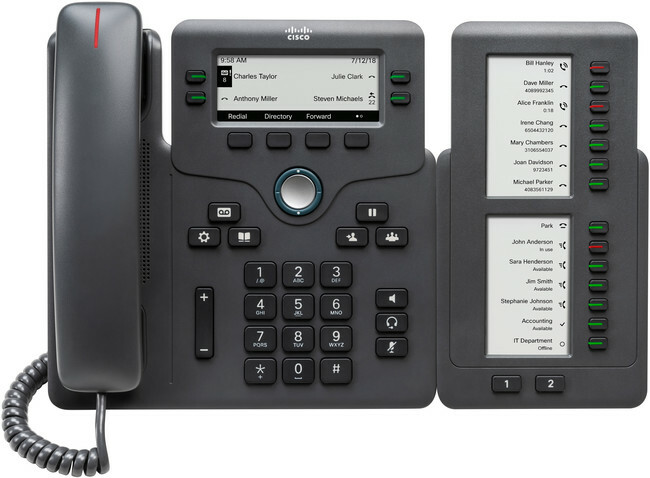 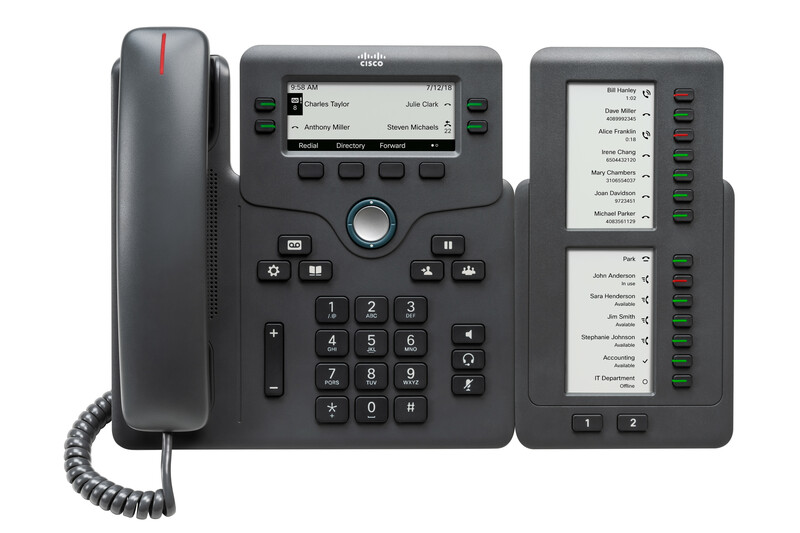 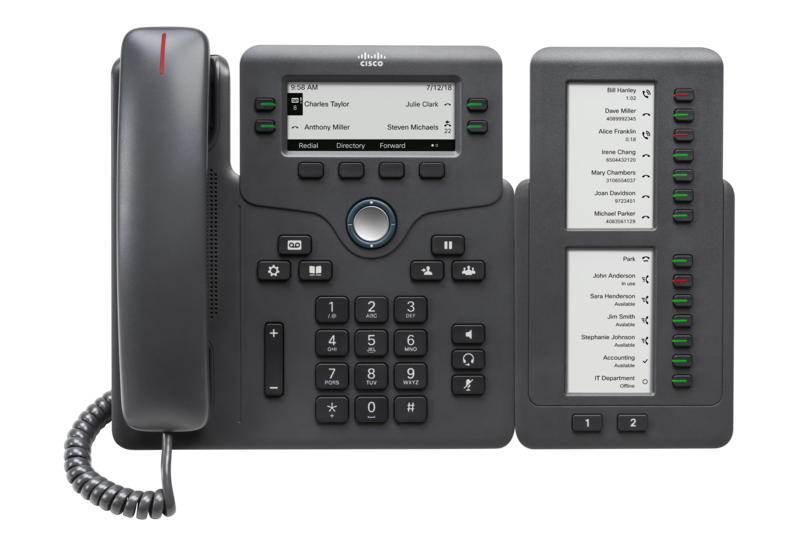 The Cisco IP Phone 6800 key expansion module (KEM) enables users to extend the capabilities of the Cisco 6851 multiplatform phone with up to 28 additional buttons (14 physical). 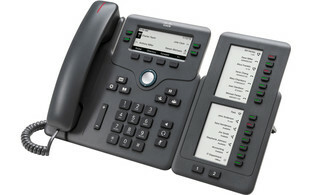 The KEM supports the Programmable Line Key (PLK) function which enables users to utilise call monitoring and answering. 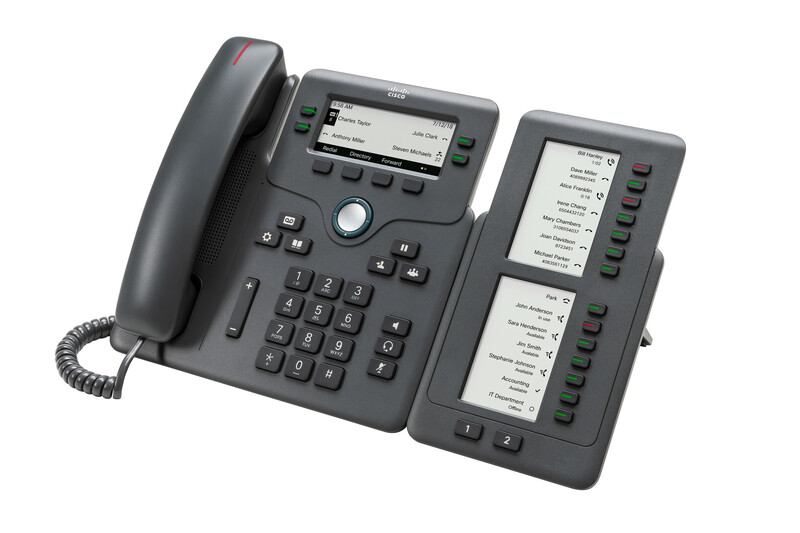 Please note: the 6800 key expansion module does not support SIP registrations and is compatible with the 6851 only. 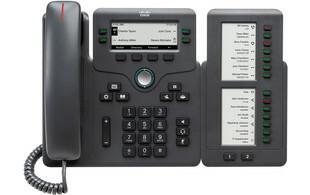 The Cisco IP Phone 6800 KEM doesn't have its own local power supply; it gets power from the attached phone.